Progress has begun on Remake 2012 - The Churn Dash. 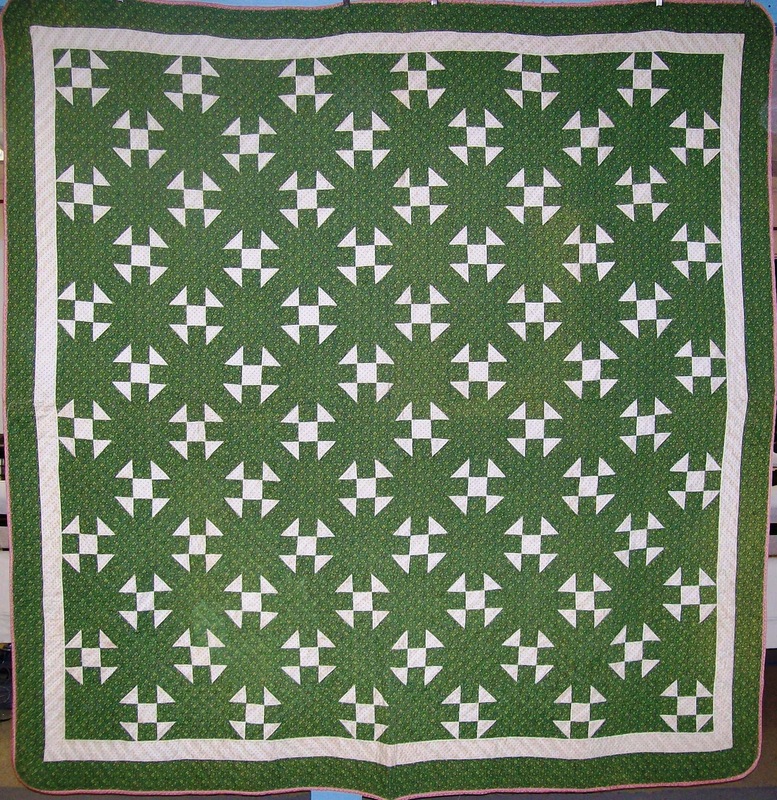 Here is a photo of the quilt that is being copied. We decided to make a few changes from the original layout (12 x 12 blocks with two borders) and will be using a 13 x 13 block layout to give it more balance and symmetry. 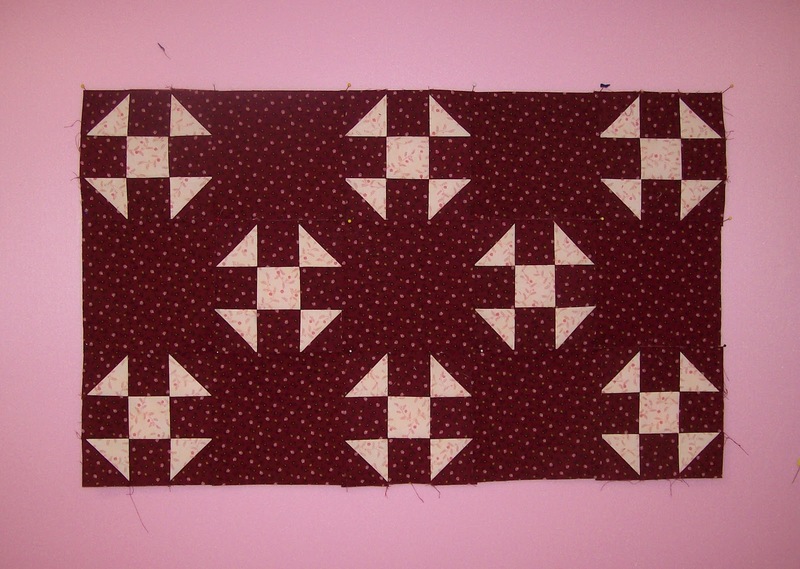 This will put a pieced Churn Dash block in each of the 4 corners. 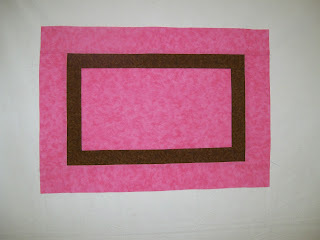 Also, we will add a 3rd border so the total border width will be approximately 10 inches. 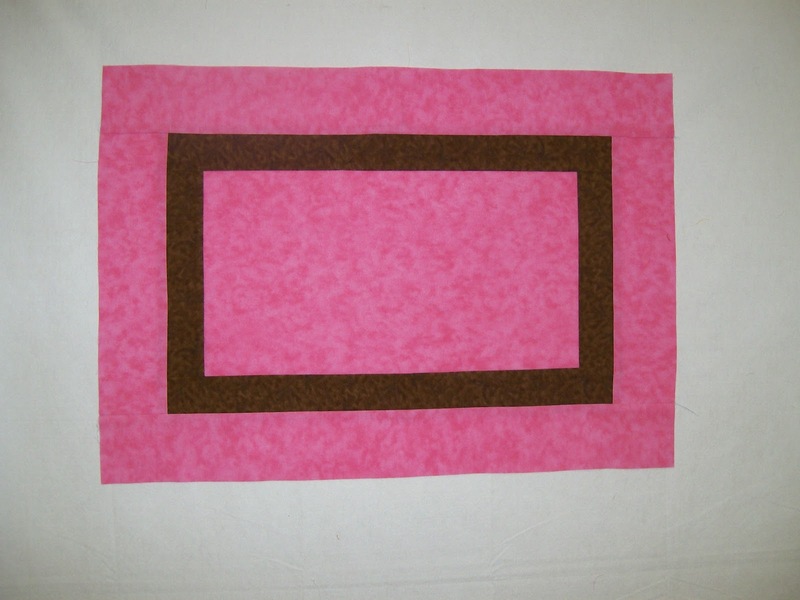 This will give a finished quilt size of 98 x 98 which will fit nicely on a queen size bed. After all the decisions were made - the cutting and piecing have begun. 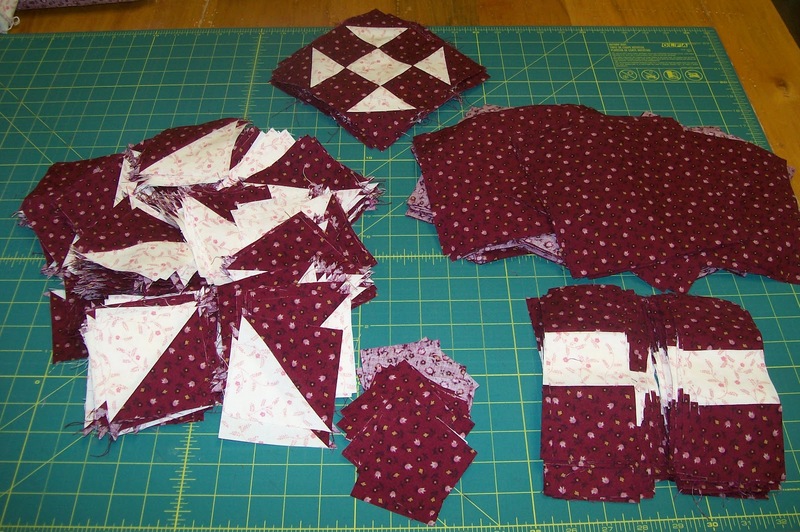 Wow - what a pile of fabric.... but block by block it will come together. I think it always goes faster when the finished blocks go up on one of the design walls at the studio. At least it gives some visual inspiration on those days when motivation is lacking !! 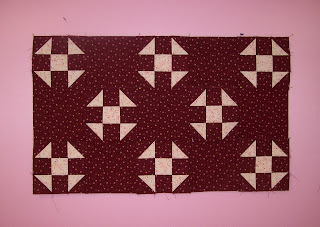 These blocks are just pinned in place, but it already confirms that we are on the right track for replicating the look of the original quilt. I'm so excited... stay tuned for more progress reports on Remake 2012 ! I'm typically not someone who decorates for Valentine's Day. But the last of the Christmas decorations came down the other day; and well, frankly, the house seems a little naked....It didn't seem naked before the Christmas decorations went up, but now it does. 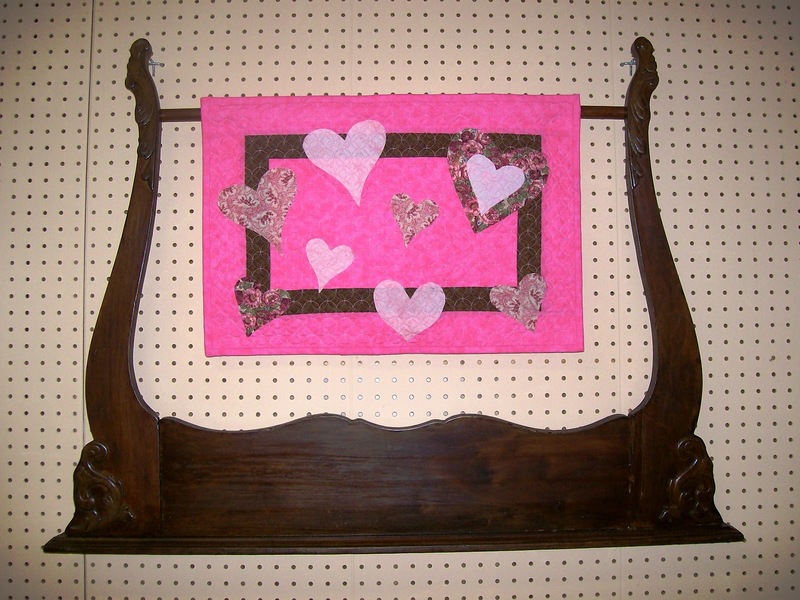 To remedy this situation, I created a simple little wall hanging to brighten the walls in honor of Saint Valentine. It is very scrap friendly with few rules. 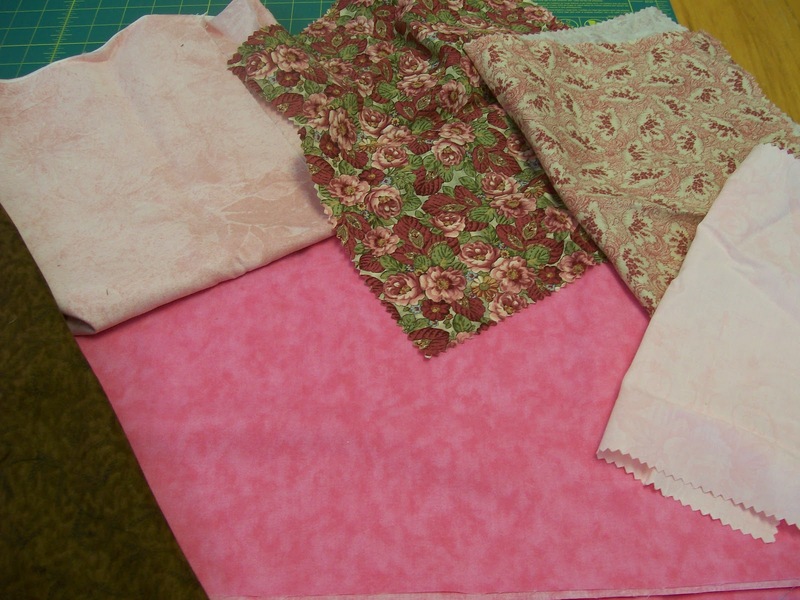 First, I went through my stash and started pulling out fabrics. I went with a chocolate and pink color combination but it can be done in reds and whites or any combination that you like. Next, I pieced the background with a center pink panel, a chocolate brown inner border and pink outer border in fabric that matched the center panel. I made the background about two inches larger than I wanted my finished wall hanging to measure to account for shrinkage during quilting and to allow me to square it after quilting. Next the heart cutouts were fused in place. It was a trip back memory lane to grade school when I made the heart templates - folding the paper in half and drawing all sorts of fun and funky heart shapes. 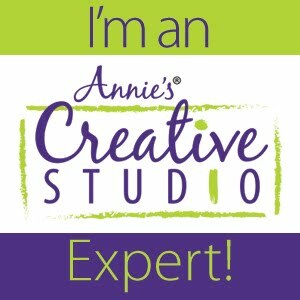 I cut them out of scrap fabrics and fused them in place with a double sided fusible web. 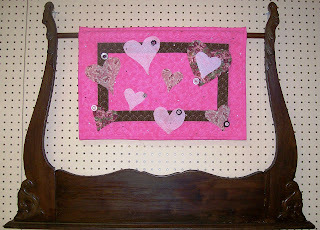 After the hearts were in place, I quilted a dense edge to edge pattern across the entire wall hanging. 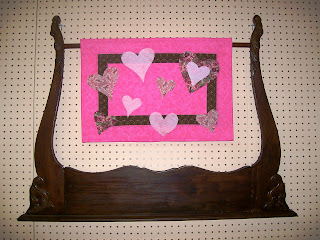 This will hold the hearts in place and provide stability to help it hang straight. 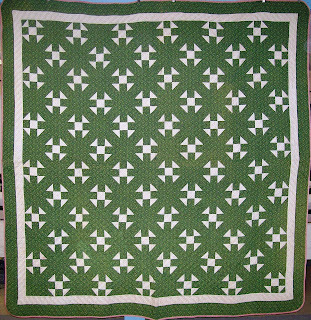 After quilting, the binding and hanging sleeve were attached. And finally, my favorite part - embellishments !! I hand sewed buttons in place to give some pizzazz but it still needed more - so out came the "blinger" and the hot fix crystals were added for the final look. Sedona Star - What have I gotten myself into ?? One of my resolutions for 2012 is to take my piecing to new levels... ya know, as Emeril would say "kick it up a notch or two". I want to try more paper piecing, I want to sew more curves, work with more angles, basically add more funky stuff into my piecing. And I found the perfect quilt to expand my piecing horizons. It was love at first sight - Wow - what a quilt. 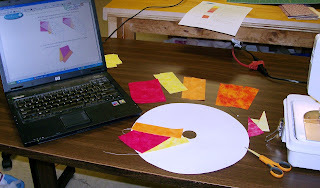 Bright colors, paper piecing, curves, everything I was looking for !!! 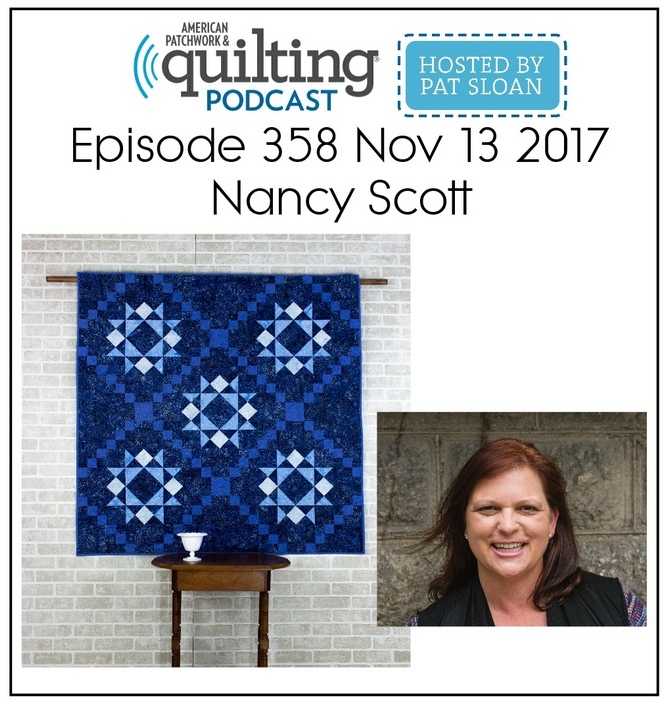 So "Merry Christmas" to me - I signed up and downloaded the first month's patterns. I went through my stash and pulled out some fabrics and then did some shopping to fill in the few fabrics I was missing. But this is different.... I'm LIKING it !!! So I set up the laptop next to the sewing machine and I followed the instructions and I sewed and I sewed. and in the end I was pretty darned impressed !! 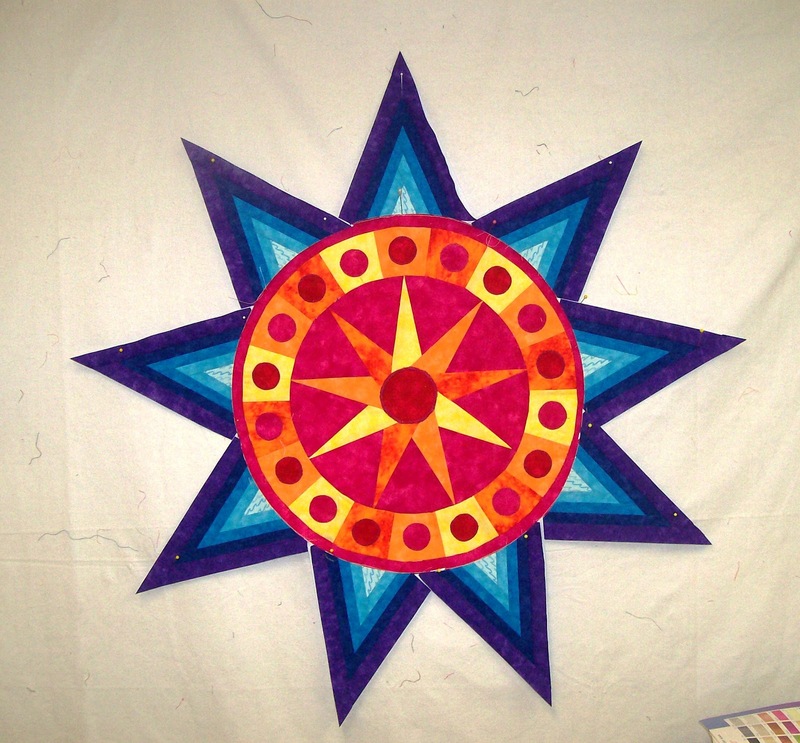 The center section of my Sedona Star is complete. Just 11 more months to go. 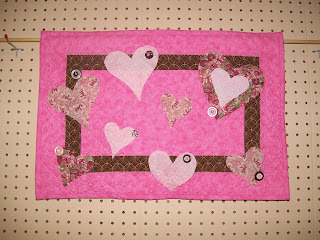 Stay tuned for updates - February includes 9 applique blocks ... I can't wait.